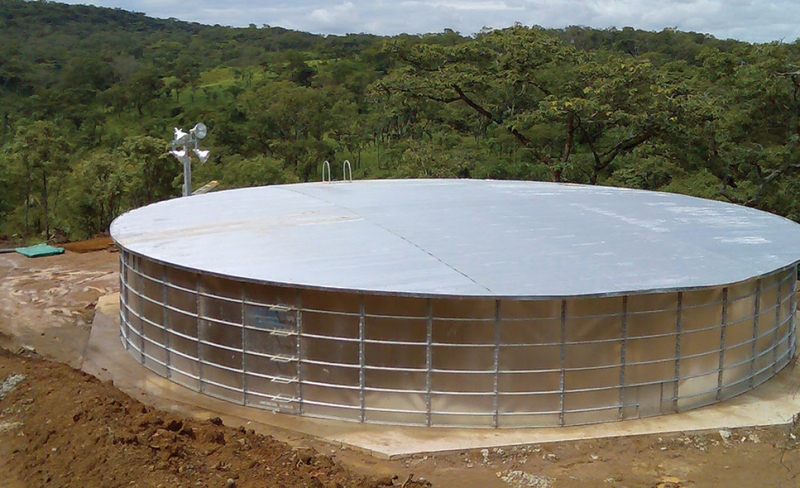 Hydrex® Reservoirs are built tough and offer long term water storage solutions. These highly versatile products are used in a variety of applications ranging from bulk municipal storage, agricultural applications, fire suppression and mining. 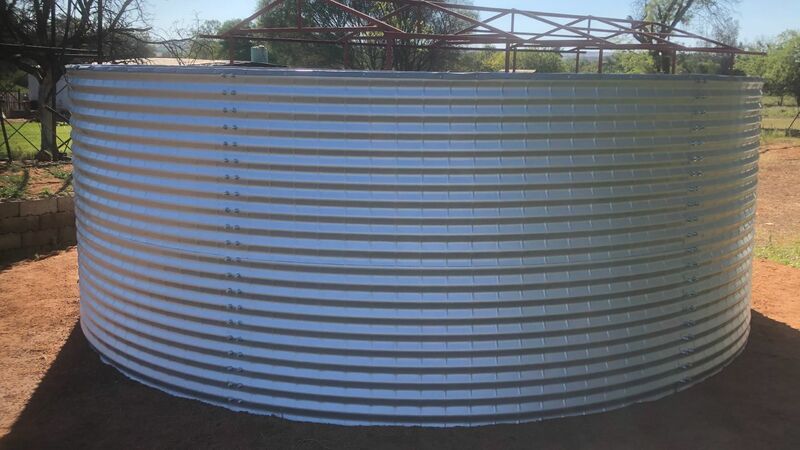 Our reservoirs come in various sizes and are made up of three main components; namely the reservoir shell, the liner and the reservoir roof where applicable. The reservoir shell construction depends on the reservoir type. We offer Mesh, corrugated, panel and steel plate reservoirs. The reservoir can be fitted with a range of linings depending on the application . Supported and unsupported PVC based liners vary from 600 microns through to 1000 microns, are protected on the floor by a geo-mat. HDPE & LDPE Liner options are either 1, 1.5 or 2mm thick. All materials are UV stabilised, ensuring extra protection against the African sun. 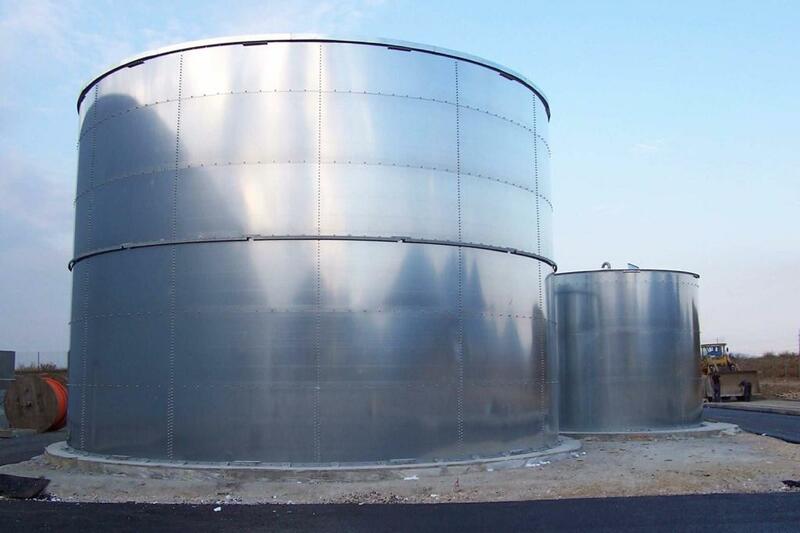 Steel plate and pressed steel reservoirs are normally galvanised. Expoxy and other coatings are used for Bio Gas and the Petro-chemical industry. Depending on the application, Hydrex® offers a variety of reservoir roofs. The ultra durable walk-on-roof type has found favour with municipalities, construction sites, mines, factories and farmers. Hydrex reservoirs have been in service for 38 years, with the average life expectancy being in the region of 20 years. Our panel reservoirs compete with permanent structures, yet are easily transported due to our modular design. Hence our products are found throughout Africa. Easy to follow DIY assembly instructions are available in four languages alternatively our installation team is also available.